Congratulations are in order for Everyone Counts as their eLect Quad Audit™ voting system is the first and only software and tablet-based system to have passed testing by a federally accredited voting system test lab (VSTL), and the first voting system of any sort to test to the latest federal voting system standards. A new world for voters has arrived! Jim Davidson was introduced to Lori Steele Contorer in 2010 through his dear friend and colleague, Jonathan Lewis, while they were attending the Opportunity Collaboration conference in Mexico to find sustainable solutions to poverty. Jim has a deep passion for voters’ rights and is concerned about enfranchisement or the lack thereof in the US and developing countries. Lori and Jim share a tech background, and both understand the necessity of changing the voting process to allow access for all. Lori formed Everyone Counts to ensure that every voter in every democracy in the world that is legally entitled to vote can do so easily, privately, independently and securely - from anywhere - with complete confidence that their ballot was accurately counted. To achieve that, Everyone Counts brings technology used in other mission-critical industries to elections, to ensure voting will be more secure, accurate, and transparent. When Lori and Jim met again in Peru in 2011, they were together for the country’s democratic election. In most countries, Election Day is a national holiday, so that everyone can exercise their rights; and the process is taken very seriously. Few businesses are open, or elections are held on the weekend to eliminate conflicts and make the voting process as easy as possible. Everyone Counts has been conducting secure online elections for government and private sector clients for nearly two decades. Secure digital voting increases voter turnout by providing convenience and accessibility, making it easy for people to vote wherever they are in the world. Digital ballots are easier to mark than paper ballots, are programmed to not allow for over-voting, and let the voter review before submitting, ensuring the ballot is cast accurately. In US elections through 2016, severely disenfranchised overseas and military voters were the only ones able to vote securely and remotely from anywhere. Because of Everyone Counts’ success with the overseas voting population, now blind voters and other voters with disabilities (who are often also low-income) are demanding their rights to an independent and private way to cast their ballots. Lawsuits have been won in Maryland and Ohio. If members of the military have access to a secure digital ballot, so should voters with disabilities. As it is today, voters with disabilities are required to either trust a friend or stranger to vote for them on paper, or to go physically to a polling place and hope that the poll workers bothered to set up the disability-access voting machine (which most don’t, despite the law requiring them to do so). 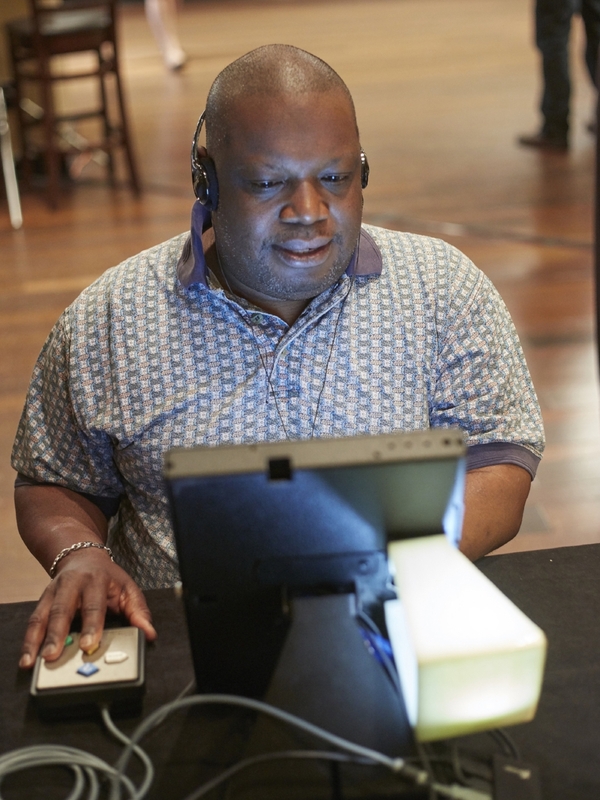 Having access to secure digital ballots on their home computers, which are already outfitted with accessibility devices, could greatly increase voter turnout among voters with disabilities. Talk about deep social impact! The adoption of Everyone Counts modern voting systems over the coming year and beyond will have a significant impact on not only access to voting, but on the reliability and auditability of results. That, in turn, will likely change the way elections play out. Had their mobile-based voting system been certified in time to be adopted en masse in states in November of 2016, the success that they saw with 70% participation of niche populations served (overseas and military voters), could easily have affected the outcome of the Presidential election. As it was, voters had to wait in line to vote in person, and the electoral system was subject to all the problems associated with antiquated voting machines or error-prone paper processes. In contrast, if Everyone Counts’ platform had been in use, voters could have securely logged in from wherever they were, on whatever device they had handy (a tablet, a mobile device, a mac or a PC), all the way up to the last minute polls were open. With the concerns during the recent US Presidential election about hacking and possible tampering of outdated voting machines, and with Department of Homeland Security recently claiming elections as critical infrastructure, a secure, transparent, auditable voting system is necessary to not only ensure the integrity of elections but to increase voter confidence as well. Everyone Counts has the solution for both poll station voting, and secure, accessible digital absentee voting from anywhere in the world a voter might be. In a time when elections matter more than ever, Everyone Counts is ensuring all citizens have the right to vote their conscience and be confident that their vote counts.